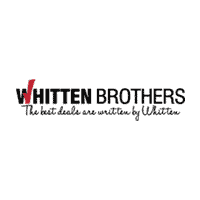 Whitten Brothers of Richmond is committed to helping you find your new Chrysler, Dodge, Jeep, or Ram. At Whitten Brothers of Richmond, we carry some of the most popular new cars, trucks, and SUVs. Browse our selection of new cars in Midlothian, including the new Jeep Wrangler, Dodge Charger, Chrysler Pacifica, and Ram 1500. Our friendly sales staff is here to make sure you get the new car, truck, or SUV that you've been wanting from our Richmond dealership on Midlothian Turnpike. Visit us today to test drive your favorite new Chrysler, Dodge, Jeep, or Ram and let our friendly staff tell you more about the Whitten Advantage that comes with every new car in Richmond that we sell.